The Red-billed Curassow is a large bird belonging to the Cracidae family. The Red-billed Curassow has glossy black feathers, with a white vent and curly crest. Males are distinguished by a conspicuous reddish-orange knob wattle around the bill. Females have a cinnamon-rufous vent, and shorter black crest; they are barred with white and their bills lack the red wattles of the male. 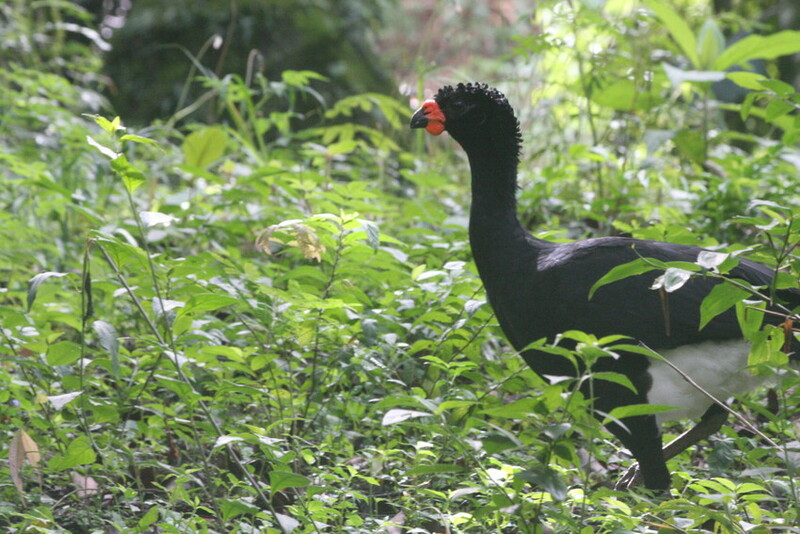 The Red-billed Curassow has a varied diet, feeding mostly on the ground from a mix of fruit, seeds, buds and insects. They usually forage in pairs, but are sometimes seen as groups of up to four, presumably a breeding pair with their offspring. When they nest, however, they build a stick platform between 2 and 6 metres off the ground and usually lay 2 eggs. Breeding takes place in September to October each year, with the male display including a booming call. The Red-billed Currasow is endemic to Eastern Brazil and so dependent on the appallingly fragmented Atlantic Rainforest, of which only an estimated 7% remains. It favours lowland humid forest and may also occur in montane and secondary forest, though this is uncertain. This species of curassow has suffered heavily from hunting throughout the Neotropics. As they spend most of their time on the forest floor they are easy prey for other wildlife and are also particularly susceptible to habitat destruction. The total population in the wild may be as low as 250 individuals. Habitat fragmentation splits this further into a series of small isolated groups, none thought to be larger than around 100 birds. Consequently, their Endangered listing from the IUCN is borderline, and verges on the more severe Critically Endangered. There is a real chance they will become extinct. 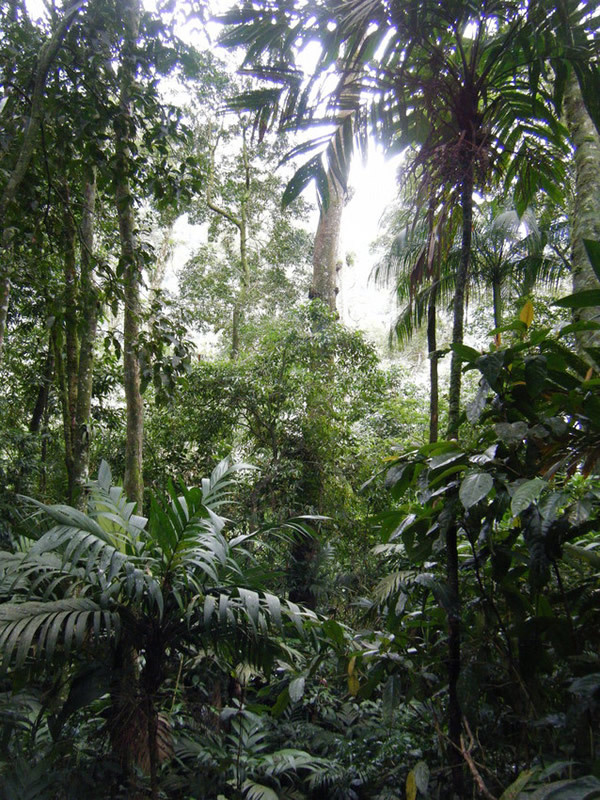 WLT’s partners in Brazil, REGUA, introduced captive-bred birds into the Atlantic Rainforest Reserve in 2007.